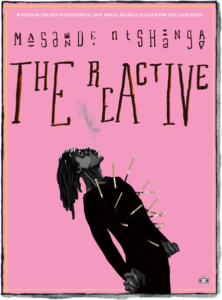 In between scenes of drug use, friendship and death this novel set in Cape Town, South Africa explores the lives of young people at a time when HIV was widely seen as a death sentence and before anti-retroviral drugs became more accessible. Lindanathi struggles with being an HIV positive young man but most of all he struggles with the feeling of being responsible for the death of his brother. While he does have a job, his days are mainly spent with his friends Ruan and Cecilia huffing glue and traversing the streets of Cape Town. Into their lives a stranger will come in and make them an offer they won’t be able to refuse and at the same time Lindanathi will receive a call from his uncle asking him to return home. Lindanathi has been carrying around so much guilt for his brother that as I was reading this story I wondered if it even really mattered to him that he was ill. He was part of a support group which is where he met his friends, but there is a sense that none of that matters to him. He is just living in the past and existing. The city feels vibrant and there is a sense of so much energy in these characters despite the difficult situations they are facing but unfortunately this novel left me wanting more. Too bad, it sounds like it had so much potential.